The downfall of the nation of Israel as Hosea puts it was whoredom. Meaning they committed adultery against the Heavenly Father by seeking after other gods. Although Hosea makes us understand clearly the sin, some have actually attempted to justify their sin. Some brothers that wear purple have asked “Are Images Wrong?”. They accuse brothers that teach against the sin of having graven images to be foolish Israelites that teach doctrines of devils. Within the page they get personal when they mention the person correcting them, as being “Spanish speaking” and to be envious or to have hatred towards Christ being black. But when you continue reading for the answer to the question “Are Images Wrong?”; they seem to be blinded by their personal feelings to “Spanish speaking” Israelites. It seems that those correcting them are not as foolish as they say. 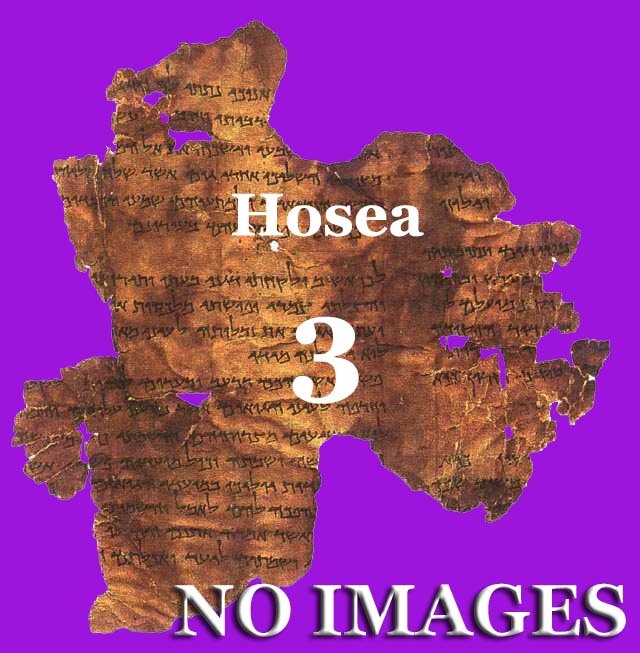 They quoted Hosea 3:4 “For the children of Israel shall abide many days without a king, and without a prince, and without a sacrifice, and without an image, and without an ephod, and without teraphim:” To state, “we obviously had images and our images were taken from us”; with this explanation they dismiss what the verse is saying.